1. 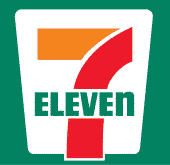 Click here to visit the 7-Eleven site and download their app either for iPhone or Android phones. 2. Then either login or register for a new account. 3. After you do, click the dollar sign. 4. You should be able to spot a coupon good for a free cinnamon roll. 5. When you’re at the 7-Eleven store, just show them and you’ll be able to score a free cinnamon roll. Don’t click it before that because the coupon will expire in 15 minutes.